Futian, the financial hub of Shenzhen, is home to the central business district and the place where many of the city’s skyscrapers tower, including the 600-meter-tall Ping An International Financial Center. It is also the home base of businesswoman, startup mentor, LinkedIn coach and China business consultant Daniella Santana, or, as her friends like to call her, Dany. Born in the beautiful village of Queimados, Brazil, Santana moved to Rio in her early teens. The city of carnival might be a dream destination for a lot of people, but it couldn’t hold Santana’s heart. By 2004, she had graduated from the University of Rio as a health & fitness professional and decided to leave Brazil; she just didn’t know “where to” yet. That’s where China comes in. In early 2005, Santana got an opportunity to work in Qingdao, Shandong Province, as a fitness and wellness trainer. The adventurous and fearless Santana didn’t have to be asked twice. The job in Qingdao led to another opportunity in Shenzhen, and the warm thick air of the city instantly made her feel right at home. Once in Shenzhen, every now and then Santana would be asked by her friends back home to help them source products from China. Before she knew it, what had started as a favor for friends was turning into a full-fledged business. Santana was beginning to get a taste for trade and realized that she had a natural talent for it. By 2008, Santana was certain that she wanted to take her accidental business to the next level. She left China to raise enough capital to start her own sourcing and trading company. For three years Santana would work as a senior sports trainer on the cruise ships of Royal Caribbean International, a job that would take her all around the world. But her heart would remain in China. After quitting her high-paying job Santana came back to Shenzhen in 2011 and kept the promise she had made to herself by starting Concept Express. Santana realized that she would need much more in-depth knowledge of the industry if she were to run a successful trading business. Santana believes in learning by experience rather than in a classroom, so she joined a Chinese, and later a Brazilian, logistics company as a business developer and attended business training sessions to fill in the blanks in her knowledge. In 2013, she resigned from her position with the logistics company and started working full time on her business, which was no longer limited to just Brazil. By 2016, her business was sailing on smooth water at full throttle. She was not only trading and sourcing for her clients from all over the world but also providing design and manufacturing consultation services. Now that she had established herself, it was time to give back to the community. Charity begins at home and Santana started with her own gender. In the spring of 2016, believing that women sometimes need a little more support and encouragement than men, Santana founded Empowering Women Business Association, a global online community of business women who support, inspire and encourage each other from across the globe. Being based in Shenzhen, Santana also runs a book club for the Shenzhen chapter of the association focusing on personal development and business-oriented books. The members meet each month to mingle, network and, of course, discuss the books. 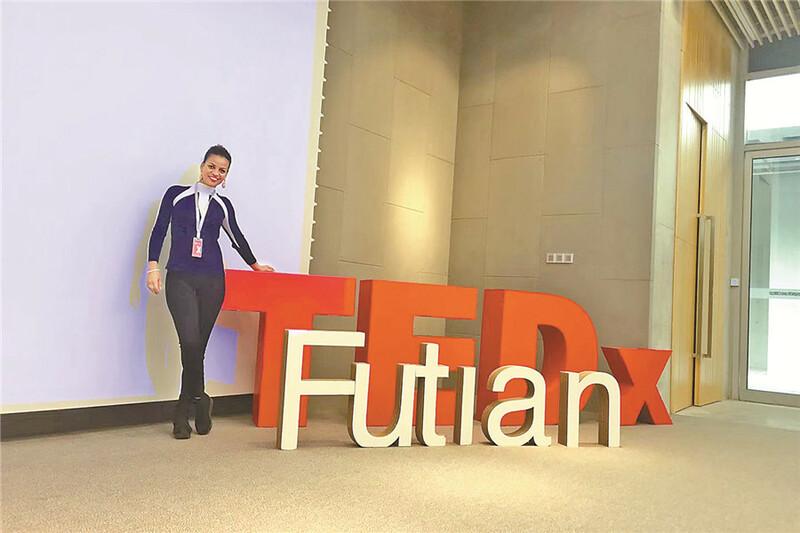 By the summer of 2017, Santana had co-organized the Shenzhen chapter of TEDx. 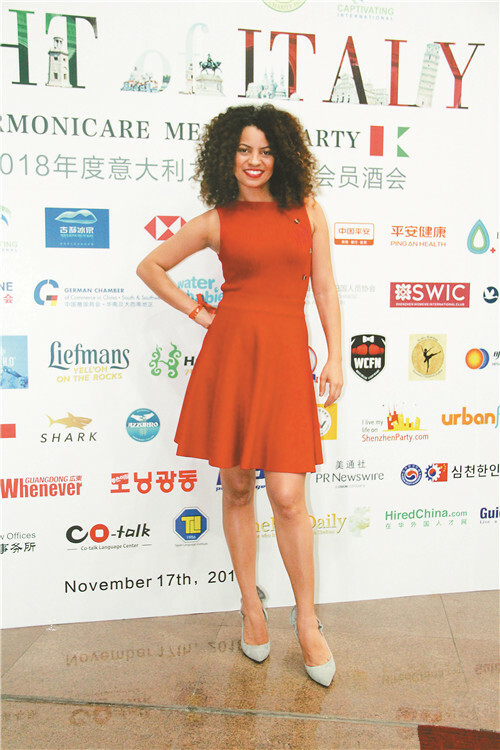 Later that year, Santana was invited to join Start-Up Chile, which is the largest startup accelerator in Latin America founded by the Chilean Government, where she now mentors on all things related to conducting business in China. She is frequently consulted by the Chilean consulate officials in China about branding and promoting products in the country. Santana credits much of her business success to the professional networking website LinkedIn, as that is where she has found most of her business contacts, including her first non-Brazilian client back in 2014. Her claim that LinkedIn is the place for business networking has earned her the title of LinkedIn Guru in the local business community. Being constantly asked for advice on how to optimally use the website, she now offers training in self-branding and marketing on LinkedIn. Often, when she was attending an event as a guest speaker, mentoring a group of entrepreneurs at the workshops hosted by a number of reputed startup platforms such as Startup Grind and TechCrunch, or even just enjoying a glass of wine for once at a gala likely organized by a media brand, she was sought out for guidance by people aspiring or struggling to start or maintain their trading and export businesses in China. Having gained most of her business acumen on the job, and much of it the hard way, Santana decided to make it a little easier for those who are trying to make it in the trading and export business in China. She now holds seminars and training sessions on how to best start an import-export business in China. People who have attended these events have nothing but high praise for Santana. Santana also likes to mention how she has never faced any racism or sexism in China, although she cannot say the same for her own country. Even though Santana is far from being lonely, she finds Shenzhen a lonely city for expat women, especially if they are successful. When she is not attending or organizing events, training seminars or workshops, Santana spends her free time with her two rescued dogs, enjoying outdoor activities, Salsa dancing or singing at a KTV with friends. She truly admires Carrie Green, who is the founder of Female Entrepreneur Association (FEA), and motivational speaker Lisa Nichols, and thinks of them as her role models. Her advice to women everywhere: You are not meant for a 4x4 cubicle, but to have your own business, be your own boss and earn enough money to be financially independent at all times in your life, partner or not. Spend 20 minutes with her over coffee and her persona, overflowing with confidence and optimism, will make you a believer in her philosophy. Despite her success and popularity, Daniella Santana is one of the most grounded and accessible woman I have ever met and simply a delight to talk with.